Bernard Lynch took this lovely shot on Tuesday morning, down for an early swim. 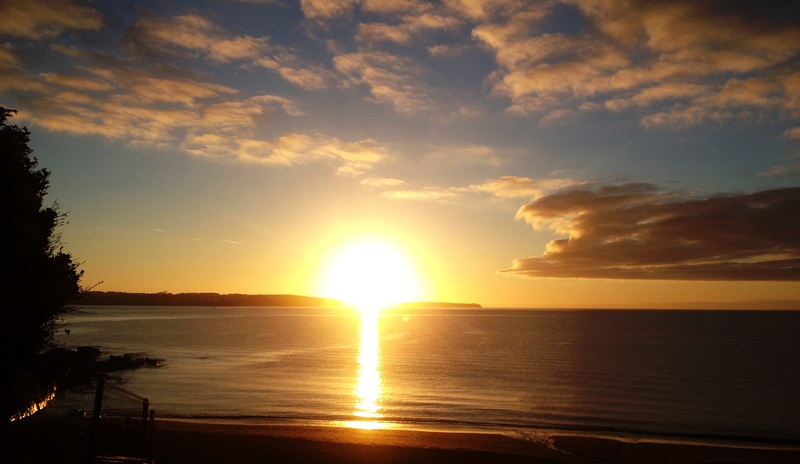 Myrtleville at dawn – September 3, 2013. Fourteen hours later, Siobhan Russell got this picture of her group after their swim. Moray and Clodagh are in Crosshaven Tri for the first time this weekend and training hard for it. Dave & Siobhan Russell, Niamh O’Connor, Moray Russel and Clodagh Monks. 8pm, September 3, 2013. 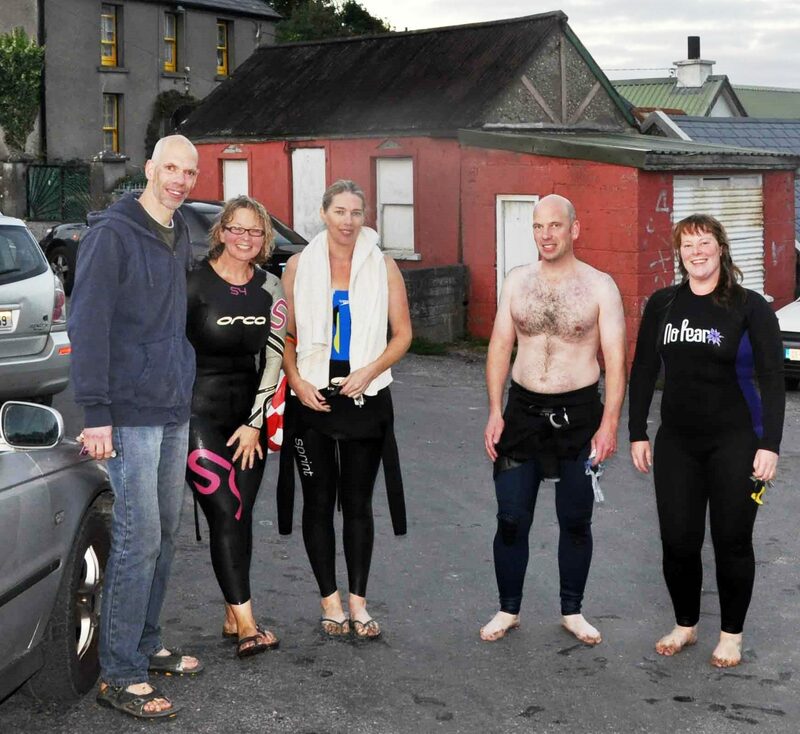 This entry was posted in Information and tagged Open water swimming - Cork, Open water swimming - Cork - Ireland, Sea swimming - Cork, Sea Swimming - Cork - Ireland, Triathlon by myrtlevilleswimmers. Bookmark the permalink.